The FDA has recently announced that Topiramate (brand name Topamax) causes an increased risk of development of cleft lip and/or cleft palate (oral clefts) in infants born to women treated with Topamax (topiramate) during pregnancy. If you or a loved one have been taking Topamax during pregnancy and had a child with a birth defect, it is important to seek medical assistance. If you have questions regarding a potential Topamax lawsuit for the death of a loved one or birth defect, please feel free to e-mail Texas Topamax Birth Defect Lawyer Jason Coomer with your name & contact information. or to submit an inquiry through this submission form. The epilepsy and migraine drug Topamax has been associated with an increased risk of birth defects for children of mothers that were taking the drug during pregnancy. Research studies have found that there are higher than expected rates of babies born with cleft lips, cleft palates, genital defects and other birth malformations when Topamax is used by women during pregnancy. Thus there is a growing amount of research that indicates that the use of the epilepsy and migraine drug, Topamax, either on its own or in combination with other epilepsy drugs, may increase the risk of birth defects when it is used during pregnancy. In February 2011, U.S. Health Officials announced that Topamax increases the risk for birth defects in babies born to pregnant mothers taking the medication. The Food and Drug Administration said new data shows the drug, sold generically and as Johnson & Johnson's Topamax, can cause cleft lips and cleft palate deformities. Avoidable birth defects are one of the most devastating problems that can occur to a family and a new baby. Parents who should be celebrating the birth of a new child, are often caught off guard when their child is born with severe disabilities and often do not realize that someone may be responsible for the birth defect including drug manufacturers that hid information about medications that can cause birth defects. The family is typically busy taking care of the child with the serious health problems and often does not know that the birth defect was preventable. When they discover the probable cause of the preventable birth defect they are often filled with anger and rage. To find out that their child will have permanent health problems or that they lost their baby because a drug company hid research and did not provide an adequate warning of a product's safety can be extremely difficult. Several medications, products, and drugs have been linked to birth defects. Some of these medications were intentionally marketed by drug manufacturers that have hidden the real dangers of their product in order to sell more of their product and that value profits over healthy babies. For these manufacturers, they may have short term profits, but over the long term they should suffer for the long term birth defects that they have caused. Federal and Texas Birth Defect Lawsuits are some of the most complicated types of cases in the practice of law. As a Texas birth defect and birth injury lawyer that handles birth defect, infant death and stillborn baby claims, Jason S. Coomer works with other Birth Defect Lawyers throughout the United States including Boston Birth Defect Lawyers, Illinois Birth Defect Lawyers, Atlanta Birth Defect Lawyers, Virginia Birth Defect Lawyers, Dallas Birth Defect Lawyers, Houston Birth Defect Lawyers, and other Birth Defect Lawyers. In working with other birth defect lawyers, we seek compensation from negligent drug companies, medical providers, and other companies that have severely injured or killed infants or mothers through selling and using dangerous products, medications, and drugs that they should have know were dangerous, but hid significant research in order to sell more product to make a profit. If you have suffered the loss of your baby or your baby has been born with a significant birth defect, feel free to contact Texas Birth Defect Attorney, Jason S. Coomer. Depakote also known as Valproate semisodium (INN), Depakote ER, Depakene, Depacon, Epival, Dépakine Chrono,Valance, and divalproex sodium (USAN) is a drug prescribed to treat seizures, migraine headaches, and some psychiatric disorders. In the UK, Canada, and U.S., the drugs are used for the treatment of the manic episodes of bipolar disorder, major depressive disorder, prevention of both manic and depressive phases of bipolar disorder, epilepsy, chronic pain associated with neuropathy, and migraine headaches. Off-label use of the drug include treatment of mild depression, the depressive stage of bi-polar disorder, and chronic pain such as migraine headaches. Depakote has been linked to major birth defects in children of women that were taking this drug. According to a recent medical scientific study, women taking Depakote had four times the risk of delivering a child with major birth defects, compared to women taking other, similar drugs. The range of birth defects associated with Depakote is broad, however the report specifically cited neural tube defects such as spina bifida. Neural tube defects are birth defects that affect the brain and spinal cord; spinal bifida is a defect affecting the spinal cord that causes paralysis of the legs.There is no known cure. In addition to spina bifida, other birth defects caused by Depakote include cleft palate, cleft lip, heart defects, limb and digital deformities, facial dysmorphism, mental developmental delays, and (difficult) genitourinary maloformations. If you believe that your child has suffered a birth defect or birth injury as a result of a defective drug, medication, or product, contact Depakote Birth Defect Lawyer Jason Coomer for a free review of your Depakote Birth Injury Lawsuit or Depakotel Birth Defect Lawsuit or use our online submission form. Since the FDA issued safety alerts for the antiepileptic drugs on December 16, 2008 and January 31, 2008, FDA has been working with the manufacturers of drugs in this class to better understand the suicidality risk. As described in the January 31, 2008, Information for Health Care Professionals Sheet on AEDS, eleven antiepileptic drugs were included in FDA’s original pooled analysis of placebo-controlled clinical studies in which these drugs were used to treat epilepsy as well as psychiatric disorders and other conditions. The increased risk of suicidal thoughts or behavior was generally consistent among the eleven drugs, with varying mechanisms of action and across a range of indications. This observation suggests that the risk applies to all antiepileptic drugs used for any indication. Texas Birth Defect Attorney Jason Coomer commonly works with other lawyers throughout Texas and the United States including Texas Topamax Birth Defect Lawyers, Houston Topiramate Birth Defect Lawyers, Boston Topamax Birth Defect Lawyers, San Antonio Birth Defect Lawyers, Dallas Off-label Topamax Infant Heart Problem Lawyers, and other Austin Dangerous Drug Infant Birth Defect Lawyers. By sharing information and working together, his law firm and other firms throughout Texas and the United States are able to provide better representation for there clients. 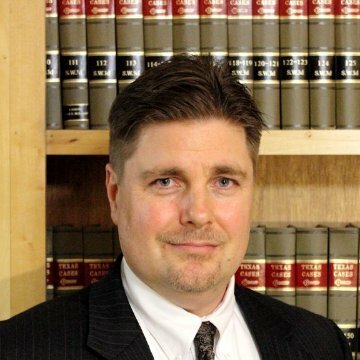 Texas Topamax Birth Defect Lawyer Jason Coomer works on catastrophic injury and death cases including defective drug mediation lawsuits. If you or a loved one were given Topamax or another Antiepileptic Drug (AED) during pregnancy and have had a child with a birth defect, please feel free to e-mail any questions you might have to TopamaxBirthDefectLawyer@texaslawyers.com.